뭐 하여튼 첫판이 끝판 같고 끝판이 첫판 같은 형국이 되어버린 지금 제가 할 수 있는 말은 "이기는 편 우리편." 그러고 보니 우도카도 P-Opt 가지고 있고, 올 시즌 받는 돈이 1mil던데.ㅋ 저돈 받고 남을까나? SAN ANTONIO -- The San Antonio Spurs and Boston Celtics will take a lot away from Monday's showdown. Like their timeouts, for instance. Boston's Kevin Garnett inexplicably failed to call one with his team up two and all the options for an inbounds pass covered. 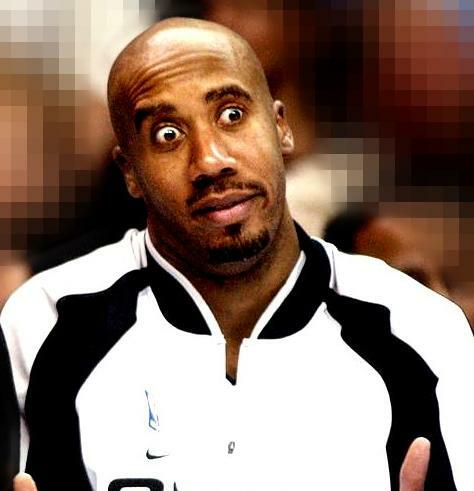 But then San Antonio's Bruce Bowen and Robert Horry made the same gaffe after the Spurs stole the ball on KG's inbound attempt, resulting in a rushed 3 at the buzzer by Horry that missed the mark. The Celtics hung on for a 93-91 win. 센안토니오 스퍼스와 보스턴 셀틱스는 월요일에 있었던 쇼다운 중 여럿 실수를 범했다. 예를 들면 자신들의 타임아웃 같은 거 말이다. 보스턴의 케빈 가넷은 2 점을 앞서고 있는 상황에서 이유를 알 순 없지만 인바운드 패스를 할 수 있는 모든 길이 막혀 있는 상황에서 타임아웃을 부르질 못 했다. 하지만 센안토니오의 브루스 보웬과 로버트 오리 역시 케빈 가넷과 같은 실수를 해버린 해버렸다. 케빈 가넷의 인바운드 패스를 가로 챈 후 급하게 3점을 던지다가 오리는 슛을 실패하고 만 것이다. 이렇게 해서 결국 셀틱스는 아슬 아슬하게 93-91로 승리를 거뒀다. But let's set the timeout debate aside and look at the bigger picture. One suspects the defending champions have a much larger takeaway from Monday's game, considering it's their fourth straight defeat and the sixth in their last seven contests. It dropped them to 44-23 on the season and into a tie with Dallas for sixth place in the West -- unheard-of territory for this squad so late in the season. Though it's a hard thought to fathom given their amazing finishing kicks in recent campaigns, the Spurs' finishing kick is exactly their problem right now. Not just in season terms, but in a game context too. For the first 13 minutes Monday, they did all the things we expect San Antonio teams to do -- play suffocating defense, execute in the halfcourt, and sprinkle in the occasional open-court dash from Tony Parker or Manu Ginobili. That put San Antonio up by 22, but they lost steam from there -- most notably during a 15-2 haymaker the Celtics landed to start the third quarter. And it's part of a disturbing recent pattern in which the Spurs play a strong first half but fizzle after the break. 타임아웃에 대한 논쟁은 제껴놓고, 좀 더 큰 그림을 보자. 짐작하건데 디펜딩 챔피언인 스퍼스가 4연패, 지난 7 경기 중 6패를 기록했다는 걸 생각해 본다면 월요일 게임에서 좀 더 큰 실수를 저지른 게 아닌가 한다. 결국 44 승 23 패로 추락했고 서부 6위로 달라스와 동률을 이루게 됐다. 시즌 막판까지 이 지역에서 이런 경쟁을 치루는 건 이전에 없었던 일이다. 최근까진 그들의 어마 어마한 경기를 마무리 짓는 능력은 깊이를 가늠하기 조차 힘들정도였음에도 적어도 지금 당장은 스퍼스의 경기 마무리는 분명 문제다. 이건 이번 시즌의 전체로 봤을 때 뿐만 아니라 개별적인 경기 내에서의 흐름에서도 역시 문제가 된다. 월요일 경기 처음 13 분동안 스퍼스는 우리가 그들을 생각할 수 있는 모든 것을 해냈다. - 하프 코트에서 질식 수비를 해냈고 때때로 오픈 코트 상황에서 마누와 파커가 치고 나가면서 감초같은 역할을 해줬다. 그러면서 스퍼스는 22 점을 앞서나갔다. 하지만 거기서부터 자신들의 힘을 잃어나갔다 - 가장 주목할 부분은 15-2로 넉다운 된 보스턴의 3쿼터부터다. 최근 전반엔 강한 모습을 보이다가 휴식 후 후반에서부터 거품이 꺼지기 시작하는 스퍼스의 불안한 패턴의 한 부분이다. San Antonio scored 38 points after halftime Monday, marking the fourth time in seven games that they had a sub-40-point second half. You can throw the 42-point effort against Denver into the mix too, since the Nuggies' league-leading pace inflates scoring so much. In each of those five games, a lame offensive second half from San Antonio either cost them the lead or blew open a previously close game. "I'm mad that we were up 22 and blew it," said Horry. "I know we're playing one of the best teams in the league in the Celtics but there's no excuse. It's tough to maintain big leads like that against good teams but you have to defend home court. You just have to." Ginobili was brilliant with 32 points, but like his teammates did most of his damage in the first half. He scored 18, including 4-of-5 on 3s, to give the Spurs a 10-point edge at the break. But he was 1-for-4 from the field in the fourth quarter, and had a key turnover late. "When you play good for 45 minutes and then you miss two shots to almost win it, it doesn't count," said Ginobili. "Down the stretch they made every shot, [and] we couldn't make one. "We played great for 20 minutes, then we kind of started slowing down and the second half was totally different." And as the "What's wrong with the Spurs?" questions came up, the general consensus inside San Antonio's locker room was that the problems were mental and not -- as some suspect -- physical deterioration from the team's increasing age. 월요일 경기에서 센안토니오는 후반에 38득점을 기록하면서 7 경기 중 4 경기에서 후반에 40득점 이하를 기록하게 돼다. 지금까지 리그의 평균 득점을 뻥튀기 시킨 덴버와 난전을 벌인다면 당신도 42득점을 할 수 있을 것이다. 최근 다섯 게임 모두 후반에 들어섰을 때 스퍼스가 앞서 있거나 혹은 완전히 캐작살이 나 있거나 상관 없이 공격에선 완전 절름발이 신세가 된다는 것이다. 22점이나 앞서던 경기를 날려먹다니 미치겠습니다, 라고 오리가 말했다. 알아요. 리그에서 가장 뛰어난 축에 드는 팀인 보스턴과 싸웠다는 걸요. 하지만 그게 변명이 되진 못 합니다. 훌륭한 팀을 상대론 큰 점수 차를 유지하기 힘듭니다. 하지만 홈 경기는 꼭 가져갔었야죠.꼭이요. 지노빌리는 32득점을 하며 빛을 발했지만, 그 역시 팀동료들과 마찬가지로 전반전에만 위력적인 모습을 보였다. 4/5의 3점을 포함해서 전반에만 18득점을 하며 전반에 스퍼스가 10점을 앞선 채로 끝나게 해줬지만, 4쿼터에선 1/4의 슛을 기록했고 경기 막판엔 결정적인 실책을 기록했다. 만약에 45분동안 잘 뛰어왔다면 승리를 할 때쭘 두 개의 슛을 놓쳤습니다. 별로 신경 안 쓰죠, 라고 지노빌리가 말했다. 박빙의 순간에 그들은 모든 슛을 성공시켰습니다, 그리고 우리는 그러질 못 했고요. 우린 20 분동안 훌륭하게 뛰었고 그때부터 우린 풀어지기 시작했습니다. 그리고 2쿼터 중반 때부터 경기 양상이 완전히 달라졌죠. 스퍼스에게 무슨 문제가 있는 것인가, 라는 질문을 하면 스퍼스의 락커룸에선 일반적으로 문제는 정신적으로 헤이해진 것을 말하지 예상했던 노령화(-_-;)로 인한 신체적 능력 저하라고 말하진 않는다. "We're kind of insecure, a little lack of confidence," said Ginobili. "So when things start to go bad we don't have the same response as when things go right." "This thing lately is in our heads, it's not physical," said Bowen. "Right now we are not completing, not finishing our games the way we would like." "The simple things got away from us," said Horry. "Taking care of the basketball, simple ball control, and those types of things. And that's just simple basketball." "Down the stretch I thought execution-wise we made a couple of mistakes that really got us," said Spurs coach Gregg Popovich. Perhaps it's just a blip that will all be forgotten when the Spurs are having another festive float down the Riverwalk in late June. But while Ginobili said the Spurs remain good enough to repeat as champions, other indicators aren't pointing their way. For instance, San Antonio only has the seventh-best victory margin in the conference, so you can't just blame their record on bad luck -- and much of that plus-4.1 margin was built up during its now long-forgotten 17-3 start. Since then they're 27-20 -- good enough for most, but not for defending champions. 우리는 자신감 결여로 인한 불안함 같은 겁니다, 라고 지노빌리가 말했다. 그래서 일이 잘못돌아가기 시작하면 우리가 좋았을 때처럼 해법을 내 놓질 못 하고 있습니다. 최근 우리의 문제는 우리의 머리지 몸이 아닙니다, 라고 보웬이 말했다. 지금 당장은 우리는 완벽하질 않습니다. 우리가 원하는 대로 경기를 마무리 짓지 못 하고 있습니다. 단순한 것들이 떠나버렸습니다, 라고 오리가 말했다. 단순한 볼 컨트롤 같은 것들에 신경을 써야합니다. 정말 간단한 일이죠. 박빙의 순간에 좀 현명하게 움직이길 바랐습니다만 우린 두 개의 실수를 저질렀고 결국엔 패해버렸죠, 라고 스퍼스 코치 그렉 파파비치가 말했다. 아마도 6월에 스퍼스가 또 다시 리버 호크를 떠 다니며 페스티벌을 열게 된다면 이건 그저 금방 잊혀질 잠시동안의 부진에 불과할 것이다. 하지만 지노빌리가 스퍼스는 여전히 충분히 다시 우승을 할 수 있을 정도로 좋은 상태라고 말을 하는 반면에 수치들은 지노빌리와 다른 결론을 내린다. 예를들면, 센안토니오는 서부 지구 내에서 경기 당 마진이 7 번째에 불과하다. 하지만 그들의 불운을 생각하면 그들을 마냥 비난할 순 없을 것이다. 4.1점의 마진은 아주 오래전에 잊혀진 때인 17승 3패를 하고 있을 때의 기록이다. 그 후 그들은 27승 20패를 기록했다. 물론 충분히 좋은 기록이지만 디펜딩 챔피언에게 있어선 어울리지 않는 기록이다. The schedule has been cruel during this stretch, which is one reason the Spurs' struggles have seemed so much worse of late. However, it doesn't get much easier the rest of the way. The Spurs still have road games left against Dallas, Orlando, Utah, and the Lakers, plus home dates against Utah, Phoenix and Houston. "March is horrible, we were talking today that at least since I'm here I don't remember a month like this," said Ginobili. But these are the Spurs. Since when did the schedule matter? This is the team that's used a brutal Rodeo road trip as the catalyst to their title march on three different occasions. Because of that, nobody is ready to write them off quite yet, least of all this scribe. But if they can't figure out why their offense keeps suddenly disappearing after halftime, then it might be the Spurs who quickly vanish when the Western Conference playoffs start a month from now. 최근 스케쥴이 잔혹할 정도였던 것도 스퍼스 부진의 이유이다. 하지만 잔여 일정 역시 그리 편친 않은 실정이다. 여전히 스퍼스는 달라스와 올란도 그리고 유타, 레이커스의 원정이 남아있다. 그에 더해서 홈에서 유타, 피닉스, 휴스턴와의 경기도 남아있는 상태다. 일정이 장난 아닙니다, 오늘 우리들끼리 있을 때 제가 NBA로 온 후로 이렇게 빡센 달은 처음이라고 말을 했었습니다, 라고 지노빌리가 말했다. 하지만 얘넨 스퍼스이다. 언제부터 스케쥴 따위가 문제거리였나? (내가 생각하기엔 지금부터.-_-;) 얘넨 지난 세 번의 우승동안 잔혹한 로데오 트립을 되려 자신들의 우승을 향한 행진의 촉매로 만든 인간들이다. 왜냐하면 아직 누구도 특히 이 글을 쓰고 있는 나 자신부터 얘넨 모두 끝났어, 라는 글을 적을 준비가 되어있질 않기 때문이다. 하지만 계속 하프타임 이후에 자신들의 공격을 펼치지 못한다면 지금부터 한 달 후에 펼쳐질 플레이 오프에서 잊혀진 존재가 될 것이다. 저랑 같은 생각을 하고 있네요. 베리가 빠져나간 후로 3쿼터부터의 공격은 개판이 되고 있습니다. 베리는 단순히 득점만을 해주는 선수가 아니라, 전체적인 공격의 끈을 이어가던 횽이었는데, 베리가 부상으로 빠지면서부터 3쿼터 공격은 개판이 되어갔죠. 지노빌리와 던컨의 출전 시간이 덩달아 늘어나기도 했고요. 전에 컷트 토마스와 트레이드할 때도 말씀드렸습니다만 스퍼스의 백코트진은 솔직히 누구도 믿을 수 있고 누구도 못 믿습니다. 심지어 지노비릴 마저도요. 저 몸으로 어떻게 이 빡센 플옵을 이겨나갈 지 모르겠습니다.